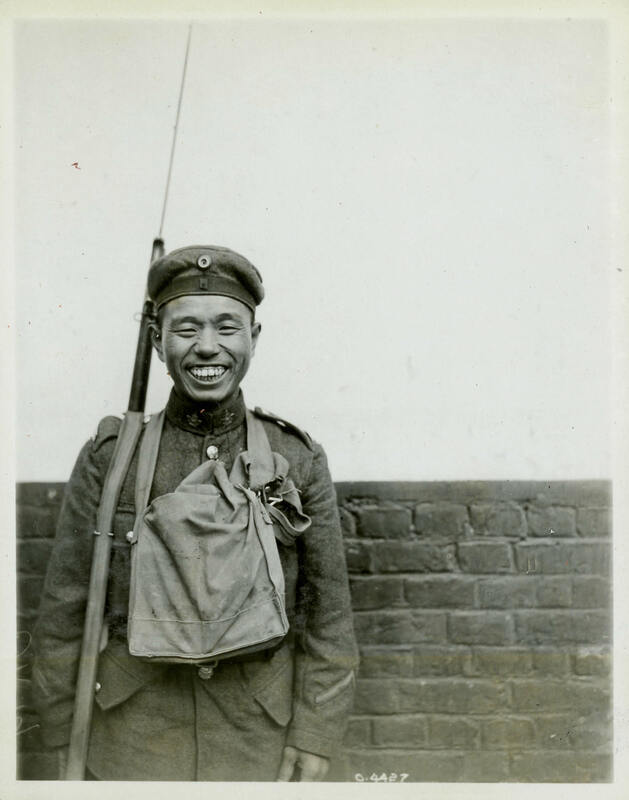 A Japanese Canadian soldier poses in his souvenir cap taken from the enemy. Most visible minority Canadians were barred from military service until 1916, when voluntary recruitment dropped to dangerously low levels. Despite their initial rejection, many visible minority Canadians now enlisted, including 222 Japanese Canadians, of whom 54 were killed and 92 wounded in battle.